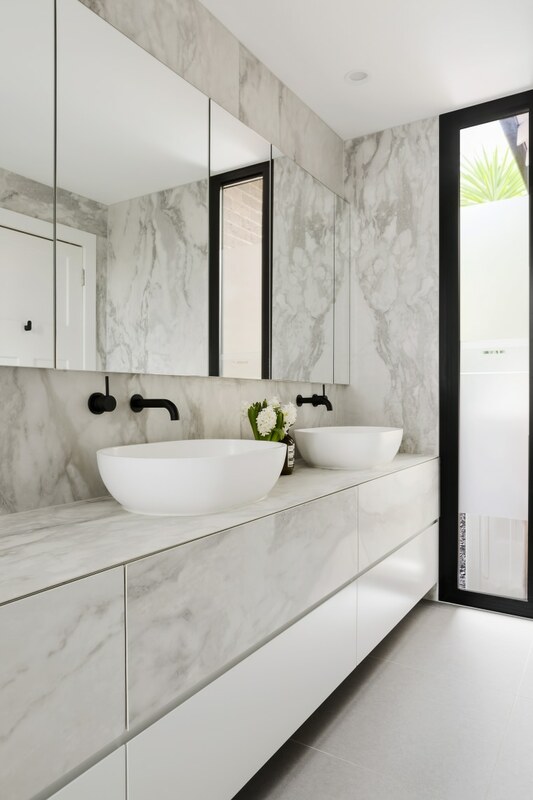 Does your bathroom look as neat and tidy as the one above? If you haven't noticed already, we've been on a bit of a decluttering and organisation campaign lately. Well now it's time to hit the bathroom. Starting by clearing it of space-consuming products. Let's start with shower products. How about that container of shower gel with a tiny bit left or the blunt old razor you keep meaning to throw away. Do yourself a favour – bin them. Your older towels and washcloths may be worn, raggedy ... and even a little smelly? Make better us of them by cutting them up to use as cleaning rags. Expired medication is another source of unnecessary clutter. Have a look through your medication shelf and you'll be surprised how much of it is no longer of use. Outdated and unused cosmetics accumulate over time too. Sort through your "cosmetics graveyard", keeping only the products that you love and use regularly. Give away anything else that's unwanted but still usable. Travel-sized items are a necessary evil for flights. When the trip's over, all they do is sit in your bathroom taking up valuable space. You know what to do. Same with those little bottles of soap and shampoo you took with you from the hotel. Haven't used them yet? Then throw them out. 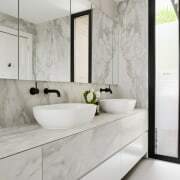 And once you've freed your bathroom from clutter, what can you do to keep it clean and clear.